A miniature copper mould with a commemorative design. This mould is marked 'RD294157. JONES BROS DOWN ST. W.'. Jones Brothers were the manufacturers and the number is the registered design number. 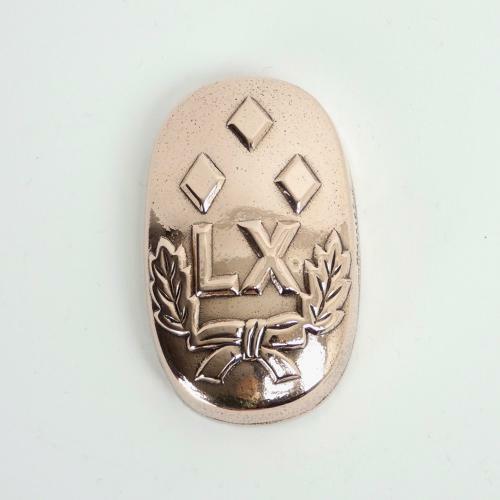 The design has LX in the middle with three diamonds above and a bow and leaves below. This was a design to commemorate the Diamond Jubilee of Queen Victoria in 1897. It is made from a substantial gauge of copper and it is in excellent condition. The tinning to the interior is still in quite good, usable condition.